Hi, Good Morning. Thank you, friends and viewers. 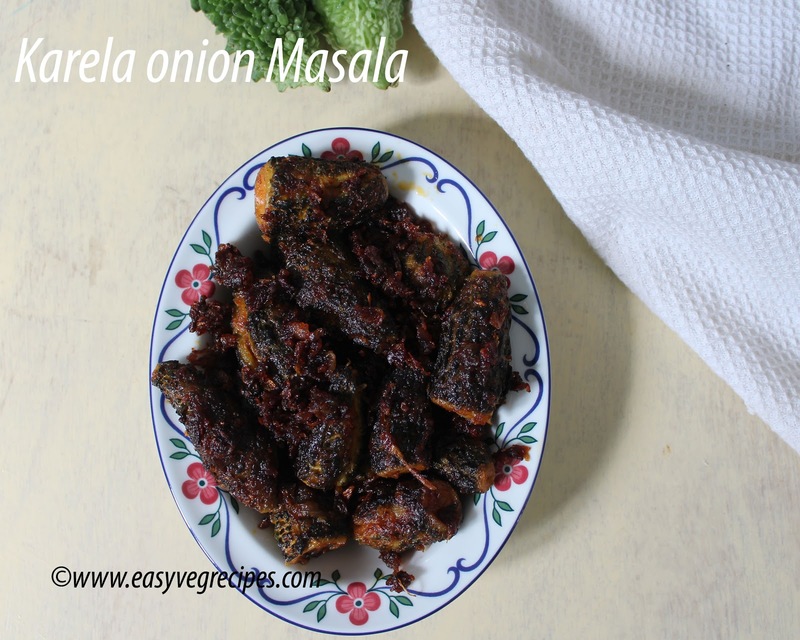 Today I will post how to make stuffed karela with onion masala recipe. Bitter gourd or karela is bitter in taste, but when cooked with spicy masala it tastes awesome. It is not liked by many though a very healthy vegetable. I too do not like it much but for health reasons consume it once in a while. 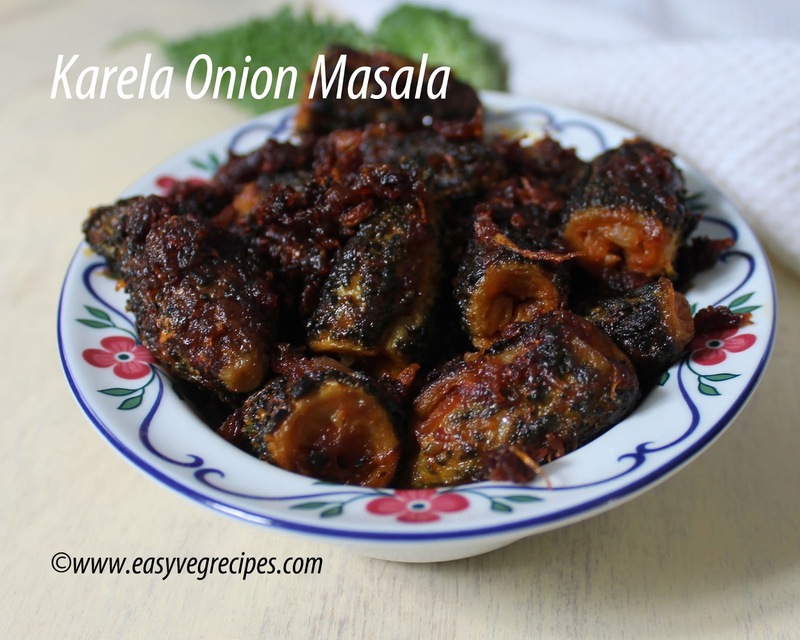 Stuffed karela is the best way to make family members have it. Whenever I get small karela, wish to make stuffed curry. Stuffed Karela with dry masala is one way of making stuffed curry and the other is the one I am presenting. I picked it from my MIL. To prefer using less oil, I pressure cooked and then make a slit to stuff masala. But we can stuff the masala without pressure cooking also, but it takes lot of oil. You can cook either way, according to your preferences. I made a small slide show with the images available with me and make a simple video. Please do watch, like and subscribe to my youtube channel for further updates. bitter gourd stuffed with onion masala, accompaniment to rice. Wash bitter gourds and pressure cook for two to three whistles. Do not cut the edges before cooking. Grate the onions, add in salt, turmeric powder and red chilli powder. Mix it well and Keep it aisde. If you want you can some more masalas like garam masala, coriander powder etc., I don't like all of them, so did not added. Do not grind onions to make a paste, it is always better and adviced to grate only. Once the cooker cooled take the karelas/bitter gourd out and allow this to cool completely. Slowly and gently cut the edges and make a slit in the center. Stuff each bitter gourd with the above prepared onion masala. Heat oil in a kadai or pan, add each karela and cover it. Allow this cook in low to medium flame, stirring occassionally. Cook till the turns into brown. This may take 15 mins tiem. Serve bitter gourd stuffed with onion masala with hot piping rice.